- Metal building at gym is fully erected with roof sheeting. 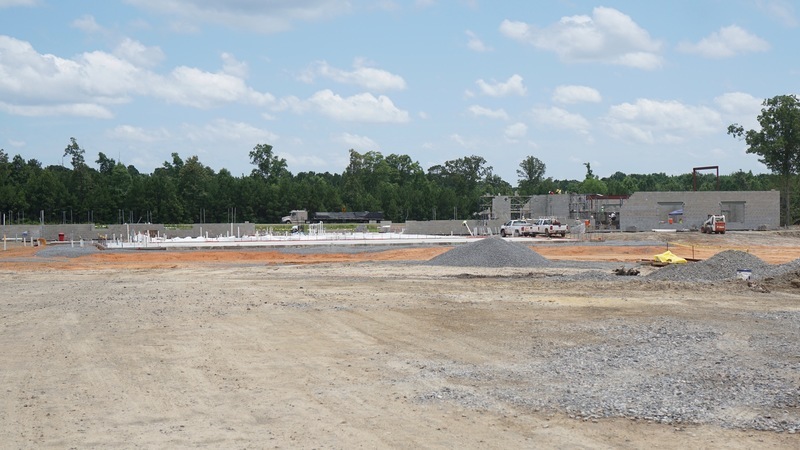 - Precast bleacher erection at gym will start this week. - All first and second floor concrete in the classrooms is completed. 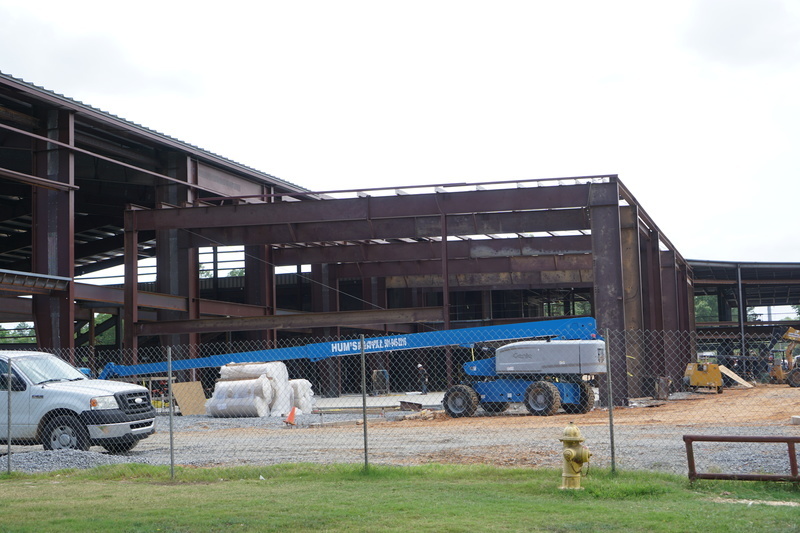 - Roof at dining and agri - building will begin this week. - Block work through the building is taking place. - Second-floor concourse area at the gym will complete once precast is set. - All structural steel in the gym area completed this week. - Ductwork, sprinkler piping, plumbing piping and electrical rough-in is continuing throughout the building on the first and second floor. - Fireproofing at second floor is in progress. - All concrete slabs for first floor are in place. - Electrical and plumbing rough in will continue with block work as it goes up. - Block for gridlines 1-5 on first floor is in place. They are continuing to work north. - Joist and decking to support second floor will be onsite at the end of this week. - Stairs for gridline 1 will be onsite by end of the week. - Will start pouring concrete at second floor in early July. - The 7,800 ft water line is in progress.